Lincoln, Neb. — Agriculture industry representatives and corn and soybean growers wanting to learn how to better manage corn and soybean pests are encouraged to attend a crop scout training course May 8 at the Eastern Nebraska Research and Extension Center near Mead, 1071 County Road G.
The training runs from 8:25 a.m. to 5:10 p.m., with registration beginning at 8 a.m.
“The training is designed for entry-level scouts who are working for crop consultants, industry agronomists or farm service centers in Nebraska and neighboring states,” said Keith Glewen, Nebraska Extension educator. Glewen says the training course is also ideal for growers who scout their own fields or are interested in improving productivity, as well as for students being employed by agribusinesses. 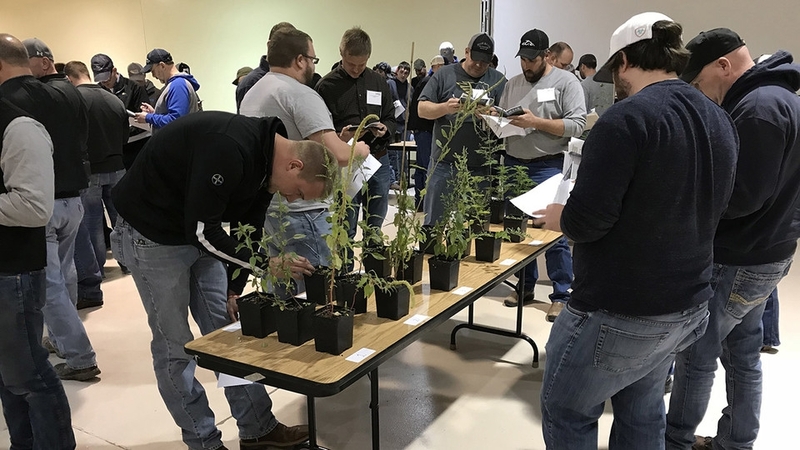 Topics include: Factors influencing the growth and development of corn and soybeans; crop diseases; weed control management; identifying weeds – plant morphology, herbicide management; using a key to identify weed seedlings; corn and soybean insect management; and nutrient deficiencies in corn and soybeans. According to Glewen, past participants appreciated the hands-on, practical format of the training course, which helped them gain working knowledge and better accuracy in field scouting. Certified Crop Advisor continuing education credits are available with 6 in pest management, 1 in crop management and .5 in fertility/nutrient management. The cost for the training course is $165, which includes lunch, refreshment breaks, and workshop materials. Updated reference materials are included in this year's take-home instruction manual. For those attending the day-long training without the resource book, the fee is $60. Attendees should preregister to reserve their seat and to ensure workshop materials are available the day of the training session. For more information or to register, contact Nebraska Extension at 402-624-8030, 800-529-8030, e-mail Keith Glewen at kglewen1@unl.edu, or visit, https://enre.unl.edu/crop.